Happy 4th of July (weekend). This holiday has always signaled the start of summer for me. I used to work at Disneyland and the 4th of July brought visitors from all over the world, the weather was almost always hot in Anaheim (where Disneyland is located) on this date, and it truly felt like the start of summer. 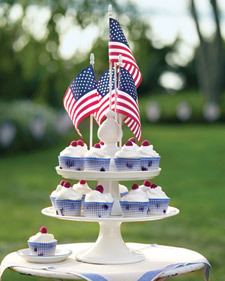 Edible 4th of July decorations, I love it! 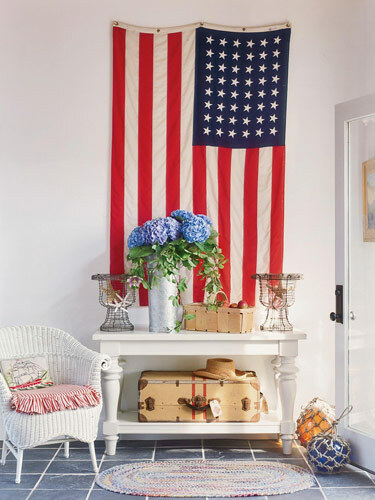 According to Wikipedia: In the United States Independence Day, commonly known as the Fourth of July, is a federal holiday commemorating the adoption of the Declaration of Independence on July 4, 1776, declaring independence from the Kingdom of Great Britain. 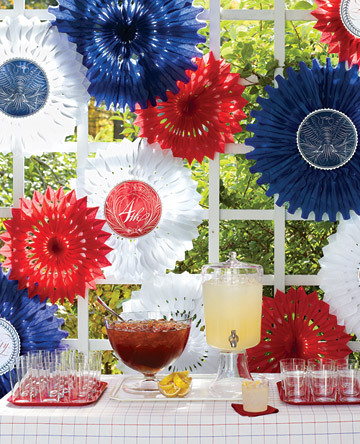 You can make these using Martha Stewart's directions in Living-July issue. 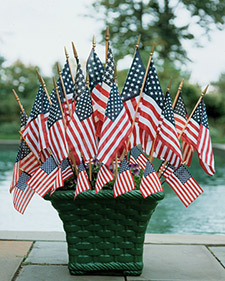 Have a wonderful weekend, we're lucky to live in a country that's free!